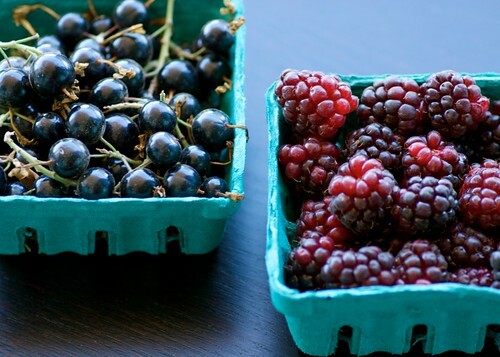 Food Blogga: What Are Fresh Black Currants? Not Dried Currants and Not Raisins. What Are Fresh Black Currants? Not Dried Currants and Not Raisins. Fresh black currants from Pudwill Berry Farms in Nipomo, CA. What comes to mind when you hear the word "currant"? Raisins? Scones? The Brits? It's a confusing matter. So after purchasing a basket of fresh black currants at the Little Italy Mercato a couple of weeks ago, I did some sleuthing on the internet. Here's what I have learned about the differences between fresh black currants, dried black currants, and raisins. Fresh black currants are small, round, glossy, black berries that pack a tart punch. They are related to red currants, white currants, and gooseberries; they are NOT grapes. Dried black currants, also called Zante currants, are dried Corinth grapes, so technically they are raisins. With their black, wrinkly skins and sweet flavor, they look, smell, and taste just like traditional raisins. Raisins are dried grapes, usually green Thompson grapes whose color darkens when dried. Similar to dried currants, raisins are shriveled, chewy, sweet, and fragrant. Fresh black currants and boysenberries from Pudwill Berry Farms in Nipomo, CA. Where can you buy fresh black currants? In cool, rainy places such as the UK. In the US, the Pacific Northwest and northern California grow fresh currants which can be found at farmers' markets and organic markets. They're also sometimes found in the freezer section of organic and specialty markets. How do you cook with fresh black currants? Fresh black currants are most often used to make jams and jellies, ice cream and sorbet, schnapps, and pies. They're also delicious in baked goods such as scones, muffins, and cakes. Fresh black currants have a savory side too: they make a tangy sauce for meats such as chicken, pork, and lamb and can be tossed into salads. If you have a recipe calling for fresh black currants and can't find them, then blackberries and gooseberries make good substitutes. What are the health benefits of fresh black currants? 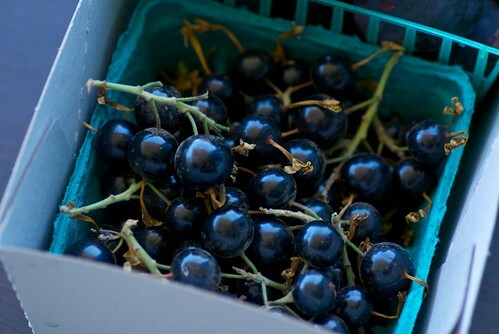 Fresh black currants are high in vitamin C and potassium. They're also are rich, little nuggets of antioxidants (2X the antioxidants of blueberries!) which help reduce inflammation and may help lower your risk of cancer. Now it's time to get cooking with fresh black currants, so check out the tempting list of recipes below. We had big currant bushes in our garden growing up. Black ones are the best! The jam is unbelievably good. Black currant jam was my moms favourite so it holds a special place in my heart Susan. I have never had currants before. Thanks for the great information and the recipe. Ooooo ... I've never seen fresh black currants! They are totally my favorite, they're less sweet than raisins and since they're tiny, a smaller volume stretches further, important since dried fruit has such dense calories. Fun, Susan! last summer, my roommate took one of her friend's CSA shares over for her while she was on vacation and we got red currants. We had no idea what the were and made jam out of them, after some extensive research. Delicious! I would love to find black currants, these recipes sound awesome. Thanks for all the info! Oooooh, fresh black currants. My grandmother had a small hedge of them, so we feasted in the summer. She made black currant jelly and many other delightful treats with those currants. Black currants make the world's best jelly candy. They're pretty high in pectin too, so they gel quickly (also helpful when making jam). Like everything else, they are non-existent around here. I love black currants, so under appreciated! Thanks for the excellent information. I was never too certain what currants were. Thank you! It is an always an education visiting your blog. Much appreciated. mkitr-Lucky girl! You must have sweet memories! val-Oh, I'm so happy to hear that. alanna-I love their tartness too. As for raisins, red flame are my favorite. joanne-Everything about red currant jam is just delightful. I hope you find some black currants now too. meredith-Isn't it wonderful that you have those memories? ramblingtart-I'd love to try them in some authentic Danish recipes. anonymous-Thanks! They are pretty like blueberries but are much more tart. goody-Jelly candy? Oooh, I'd love to try that! kelsey-Yup. They need some lovin! sues-They are hard to find. Good luck! sam-I'm glad I helped clear it up! cynthia-Thanks. That's kind of you to say. Lovely! I'll have to be on the lookout for fresh currants now. 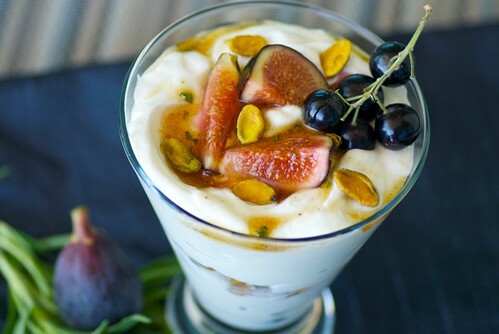 Also, inspired by you and all your lovely posts about figs, I tried my first fresh fig yesterday.